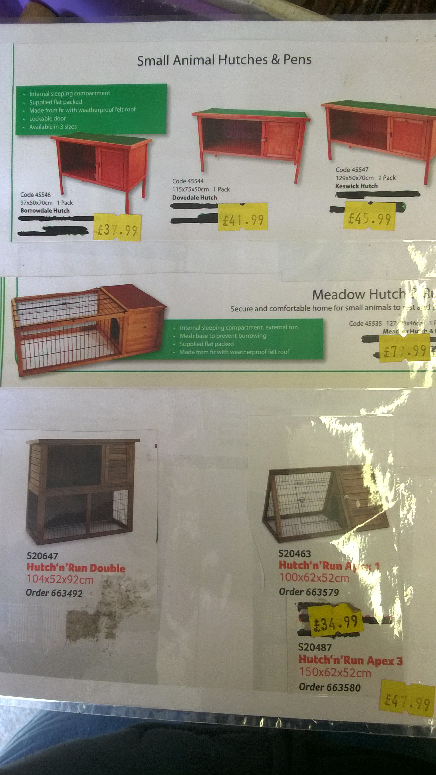 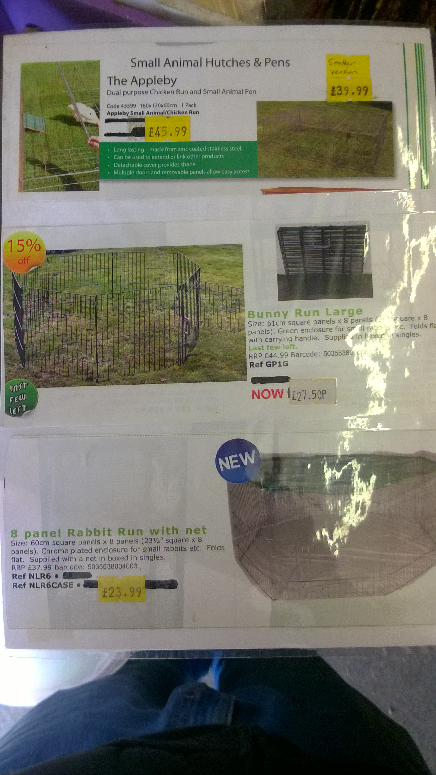 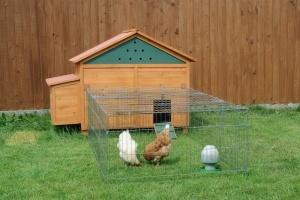 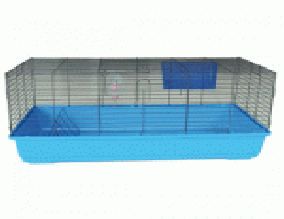 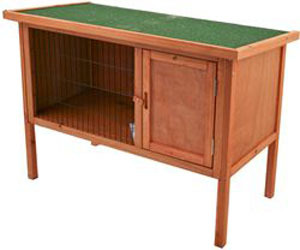 We stock hutches and indoor cages shown above and also runs for the summer months. 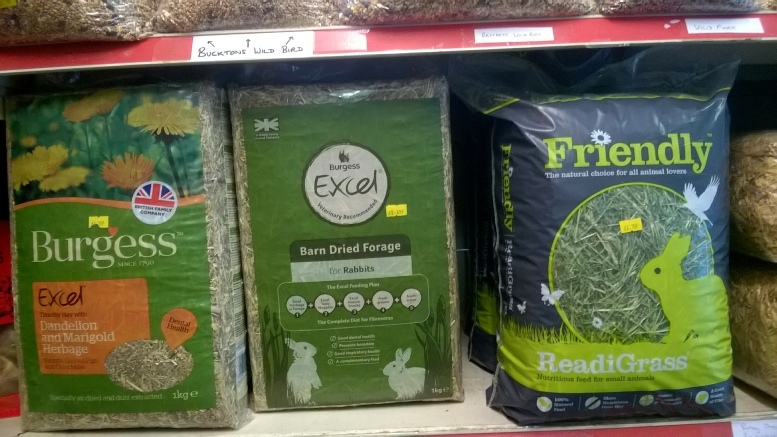 Bags of hay, straw and shavings are also available. 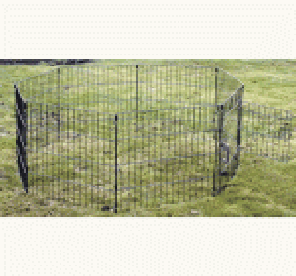 The rabbit run on the far left would be suitable for a puppy run as it is large and high enough. 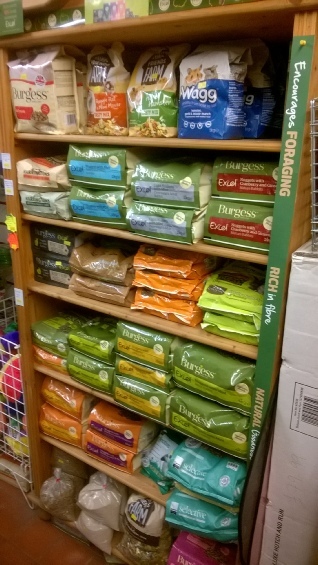 We stock the premium small animal food, Excel, from Burgess in 2kg, 4kg and 10kg bags as well as Excel treats. 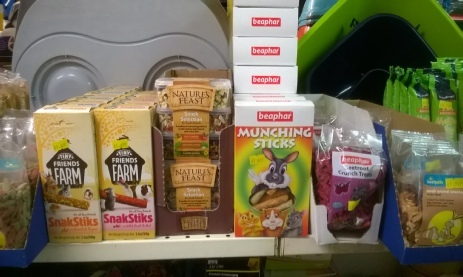 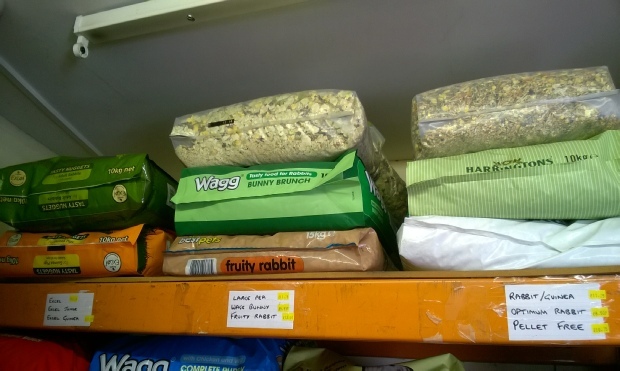 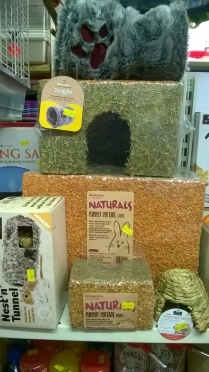 We also have muesli feed for rabbits, guinea pigs, rats, chinchillas and hamsters, as well as treats. 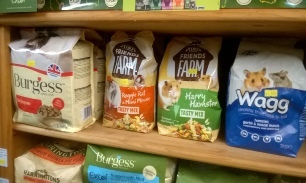 We also stock Ferret food. 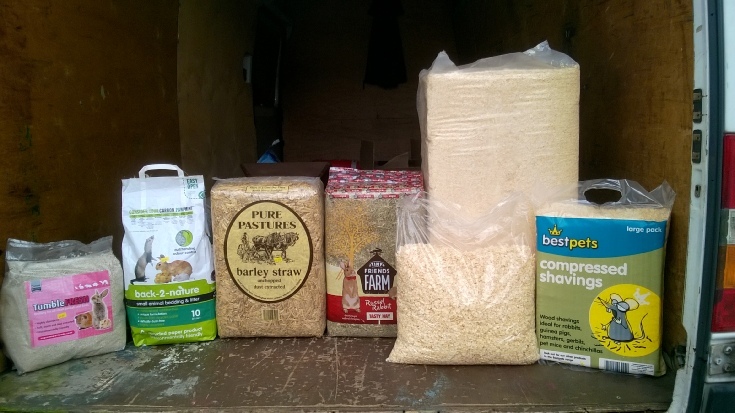 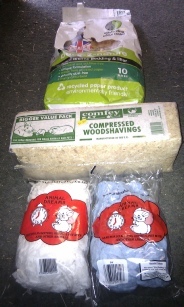 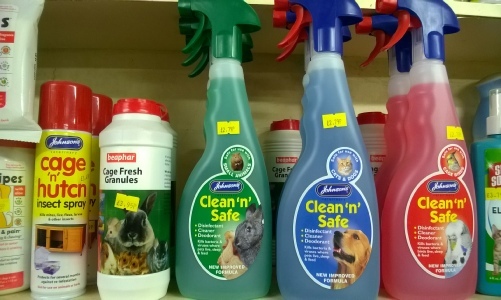 As well as food, we stock hay, straw, and shavings and hutch cleaning products. 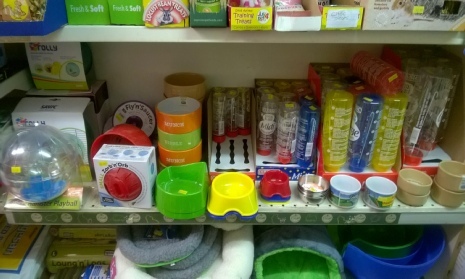 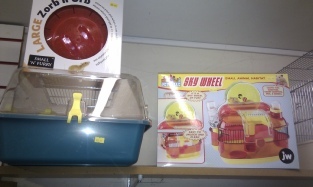 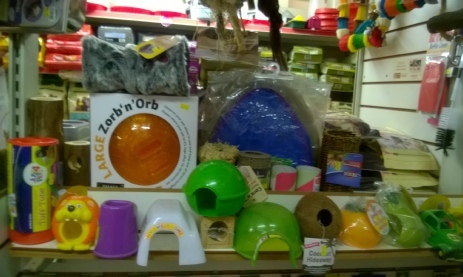 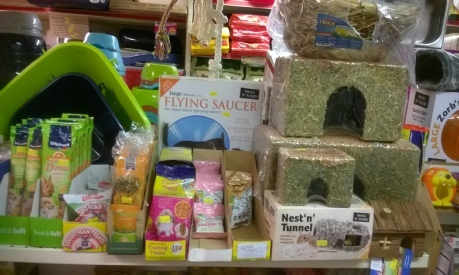 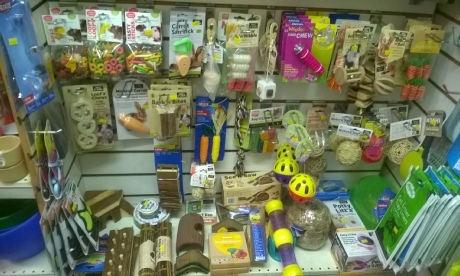 We also sell treats and toys as well as bowls and bottles. 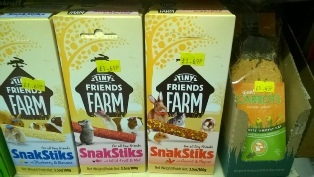 New treats suitable for all small animals, SnakStiks, in 3 flavours, as well as a 3 pack of Giant Carrots. 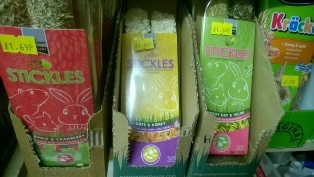 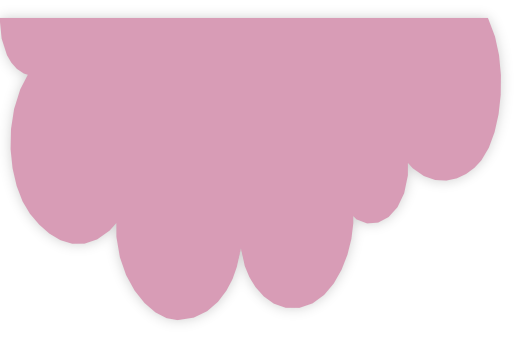 Also new are Supreme Stickle treats in 3 flavours.